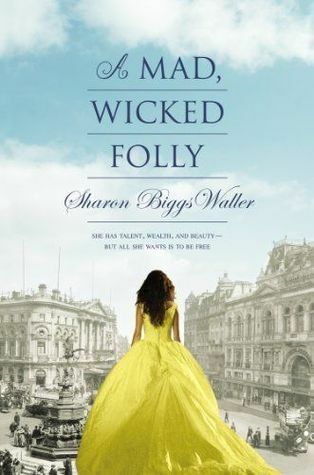 Sharon Biggs Waller, author of A Mad, Wicked Folly stops by The Crazy Bookworm! Ever wonder what your favourite author might me up to? How the spend an entire day? Well, Sharon Biggs Waller helps with the suspense! My days can vary depending on freelance work that’s coming in and the seasons, but since we are in deepest, darkest January, I’ll take you through a typical winter day. Because I live on a small farm, I’m up around 7 to take care of the morning chores. I tidy up my bedroom, let out the two dogs, and then feed said dogs and the four cats. While I’m guarding the cats’ bowls from the dogs I listen to NPR news, check my email and Twitter, and make a cup of tea. I drink a lot of tea in a day! It’s a holdover from living in England for so long. (When I first moved there we had builders replacing the windows in our house and they nearly went on strike because I wasn’t bringing cups of tea to them every hour on the hour!) I love coffee but it makes me so hyper and anxious I can only drink a small cup, so I stick with tea, generally speaking. After all that I go outside to let the chickens out of their coop, feed and water them, and check for eggs. I open up my writing studio and start thinking about what’s on the agenda for the day. Then it’s over to barn to take care of the horses, geese, and goats. I always say good morning when I step into the yard and I’m always greeted with nickers, bleats, and honks. It’s so funny and adorable. It’s truly my favorite time of the day. I feed our three young goats grain and distribute hay to the four older goats and our two horses. I let the geese out of their pen and watch them have a wing stretch and a little fly around the barnyard. I check all the water and clean the stalls. Then I let everyone out into the barnyard and leave them to it. Back up at the house I have breakfast and check my email again. Then I sit down to work in my studio (unless it’s too cold, in which case I work in the library in the house). Unless I have a pressing deadline, an article or edits due, I always write fiction in the morning. I’m usually too tired to write in the evening and for whatever reason I’m more inspired in the morning, so my story comes easier to me then. I write for around two to three hours and then gather up the dogs for a walk. I live on the edge of a national park and there is a four-mile walking path through the woods, so I try to walk there every day, weather permitting. The nice thing about walking after writing is that I can turn plot ideas over in my head. I listen to music on my iPhone while I’m walking and I usually have a soundtrack that I’ve made for my work in progress. The music helps me imagine scenes and think about possible plotlines. When I get home I jot down any ideas in my spiral bound journal (I collect these, one for each WIP). Then I have lunch, answer any emails, have a shower, and start in on any non-fiction work, social media posts, blog posts, run errands, or go to appointments. In the evening my husband comes home and we do the evening barn chores together and then I make dinner and we watch a bit of television or read. Sometimes I’ll go to a yoga class in the evening, but mostly I work on research for my work in progress or a book I’m thinking about. I go to bed about ten, but I like to read in bed so I’m usually awake until midnight. So that’s it: the glamorous life of a novelist! Glamorous indeed! Living on a small farm?! That has been my dream. I try not to be jealous of people but I have to say, I am totally envious! 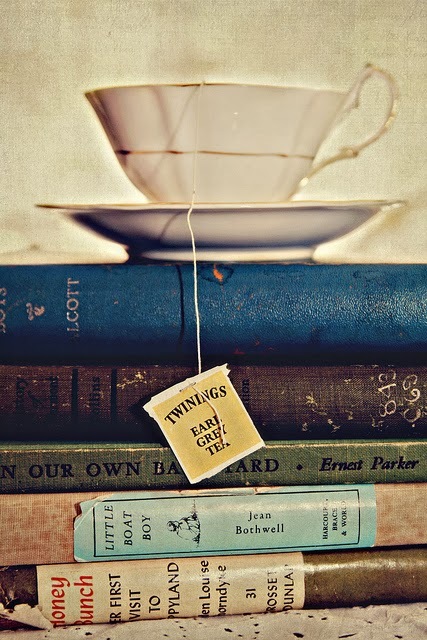 And from one Tea lover to another, isn't a good cup of tea and a book the solution to all problems? I swear the world would be a better place if everyone practiced that combination! Thank you so much, Sharon! It was a pleasure having you! You can read my fan girl rave review on A Mad, Wicked Folly HERE. Hi! I’m Sharon Biggs Waller. My debut young adult novel, A Mad, Wicked Folly, will be published by Viking/Penguin January 23rd, 2014. It’s an Edwardian-era novel about a young artist finding her own way during the time of militant suffragettes. I’ve written three non-fiction books: Advanced English Riding (Bow Tie Press) and In One Arena: Top Dressage Experts Share their Knowledge through the Levels (Half Halt Press), and I’m the co-author of The Original Horse Bible (Bow Tie Press, co-author Moira C. Reeve). A Mad, Wicked Folly hits shelves January 23rd. Don't miss out on this wicked novel!